Registrations are now open to attend the 19th annual Australian Summer Accounting Conference. 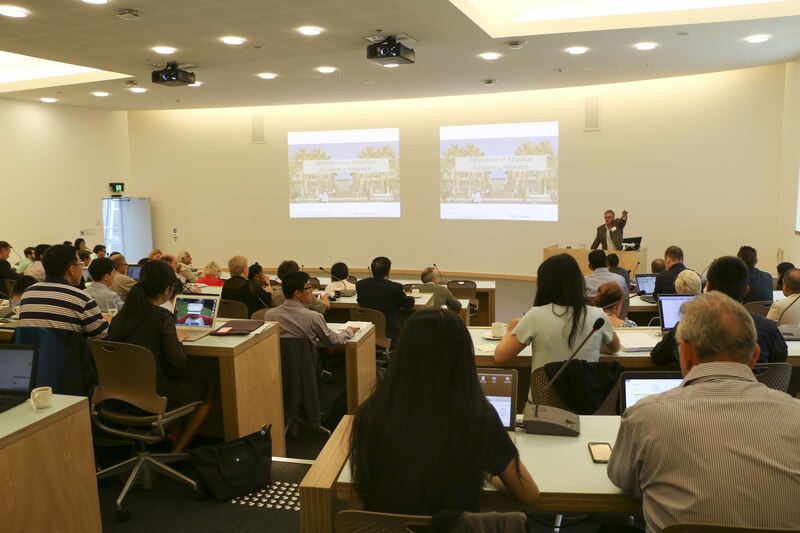 The 2016 conference will comprise a key-note address by Professor Katherine Schipper, Faqua Business School, Duke University, and 11 paper presentations, each of which will be followed by an invited discussant. There is no charge for attending the conference; however attendees are responsible for their own travel and accommodation costs, late cancelations and or no shows to the conference/dinner will incur an administrative fee of $50.00. Morning tea, lunch and afternoon tea will be provided, on each of the two days. Additionally conference attendees are invited to a dinner held on the evening of Thursday, 4th of February at the Park Royal Hotel. The conference will conclude on Friday, 5th of February with drinks and canapés. Places are strictly limited and anyone wishing to attend should register as soon as possible. What are the Economic Consequences of Fair Value Accounting? Starving for information: Does reporting frequency affect how earnings news travels around the world? Does Loan Loss Provision Timeliness Affect the Accuracy, Informativeness, and Predictability of Analyst Provision Forecasts? Do Auditors with a Deep Pocket Provide a High Quality Audit? Places to the conference are strictly limited. Please treat your registration as a firm commitment as subsequent cancellations are costly and create administrative difficulties with waitlists. Late cancelations and or no shows to the conference/dinner will incur an administrative fee of $50.00.